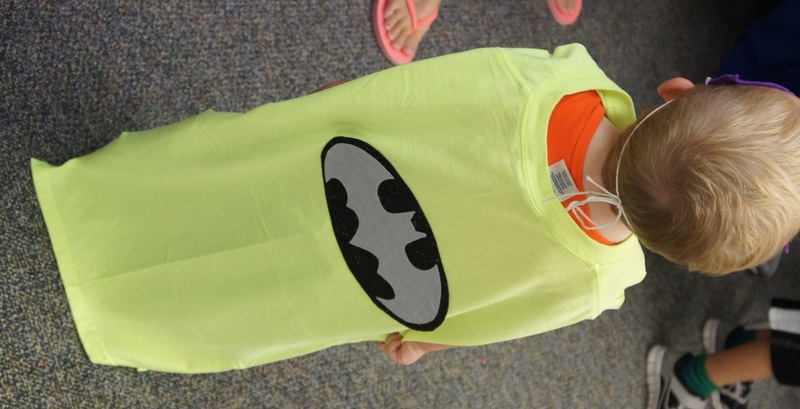 Superhero Capes: A co-worker found this idea on Pinterest- Use old t-shirts to make capes! This is SUPER easy and perfect for non-sewers like myself 🙂 To add some flare to the capes we added fun colored superhero logos! 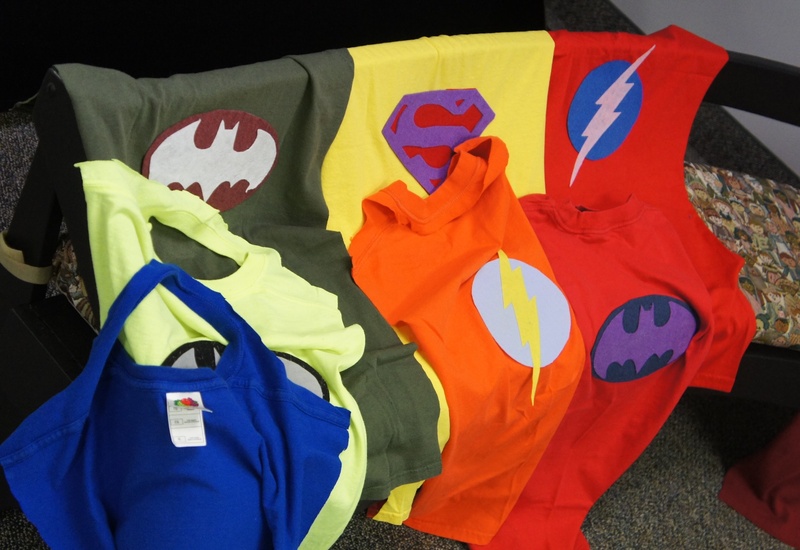 To make the logos we used felt and attached them to the capes using iron-on adhesive. (We used Thermoweb Heat’n Bond Ultra Hold Iron-On Adhesive.) These did take quite a bit of time to make, so plan ahead! Superhero Masks: To make the masks we used felt and yarn! Very easy but this also takes some time (depending on how many children you have coming). 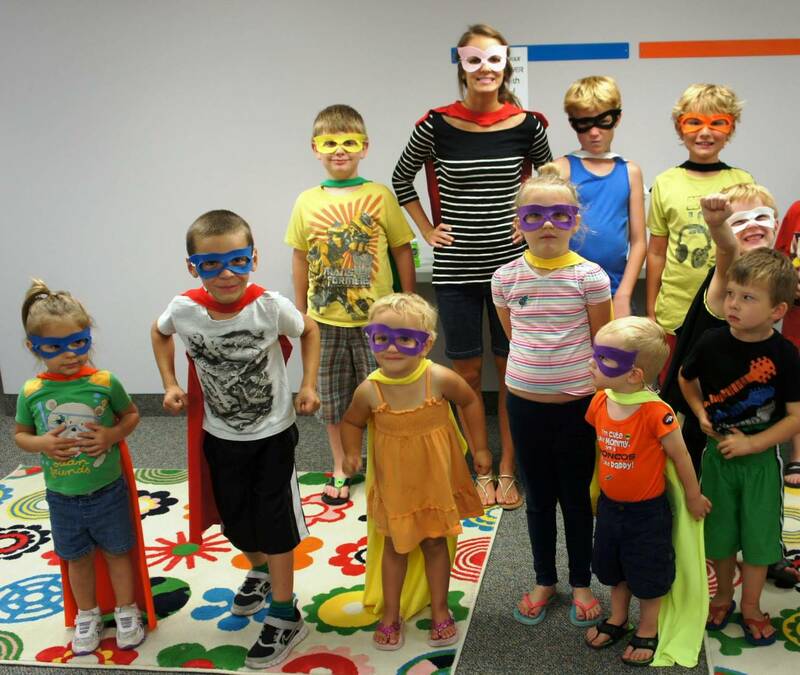 The kids loved that they were able to keep their masks and capes to play with that at home! 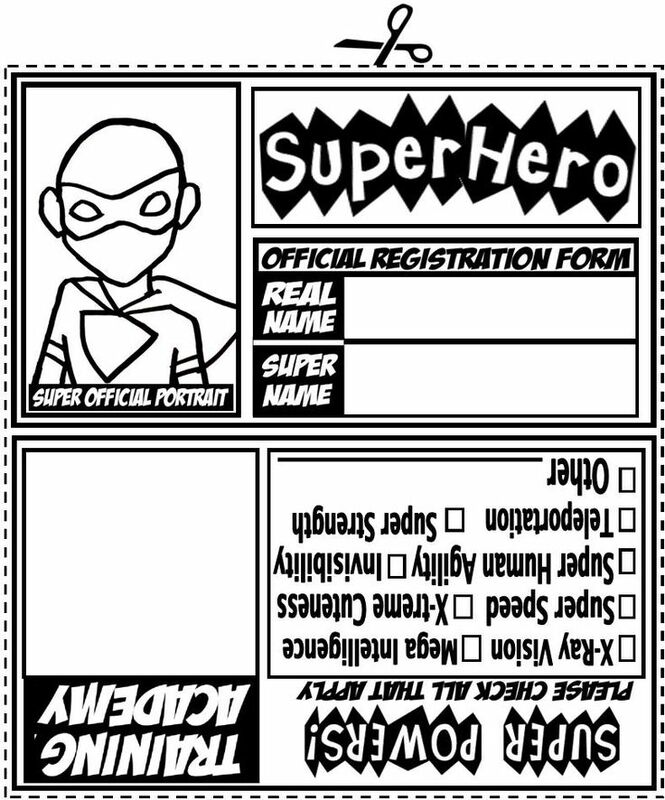 Superhero I.D. Tags: These awesome I.D. tags were found on RachelMoani. We set out glitter crayons, colored pencils, and superhero stickers for the kids to decorate their I.D. cards. 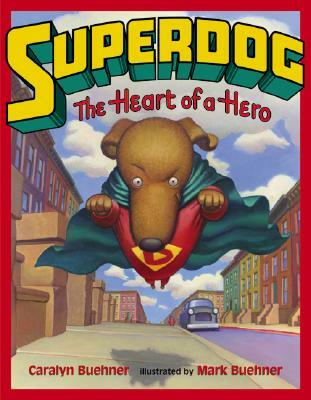 It was fun for them to make up superhero names and powers! 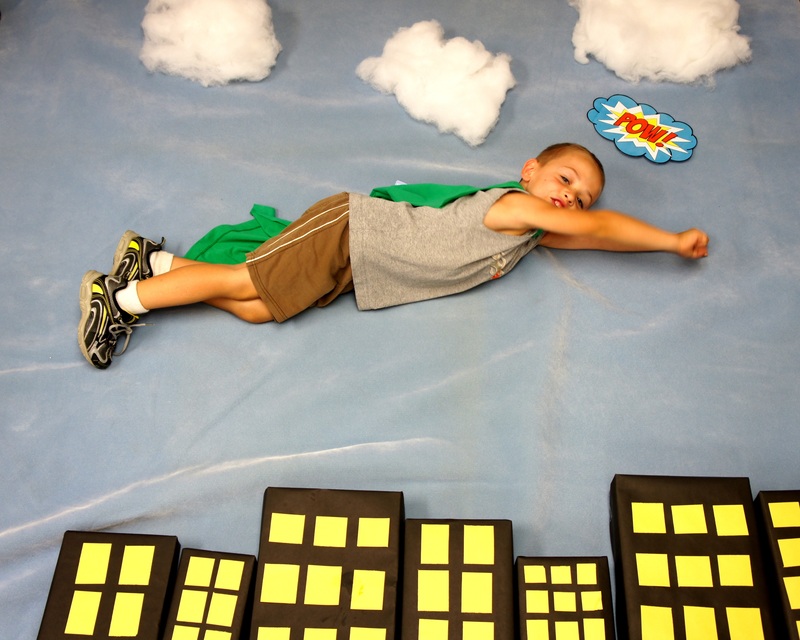 Superhero Flying Pictures: This was so fun and the kids LOVED it! 1. Cover assortment of boxes (cereal, cracker, shoe, etc.) with black paper (these will be buildings). 2. Cut out different size windows using yellow paper and glue onto boxes. 3. Lay down blue blanket or sheet (this will be the sky). 4. Align boxes on the bottom of blue blanket. 5. Add white fiberfill or batting to use as clouds. Superhero Powers! There were 2 different stations where the kids had to test their powers out! 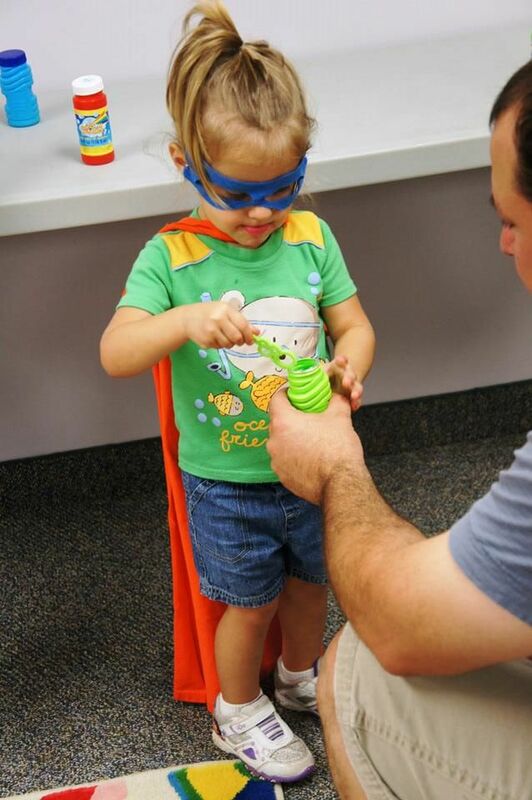 *Practice your super power breath with bubbles- leave out bubbles for the kids to practice their super strength breath! *Detonate the bombs before the villains set them off in the city- we had the volunteers blow up about 50 balloons for the kids to pop! For the smaller kids we had bubble wrap laid out for them to stomp on! This was by far their FAVORITE station! 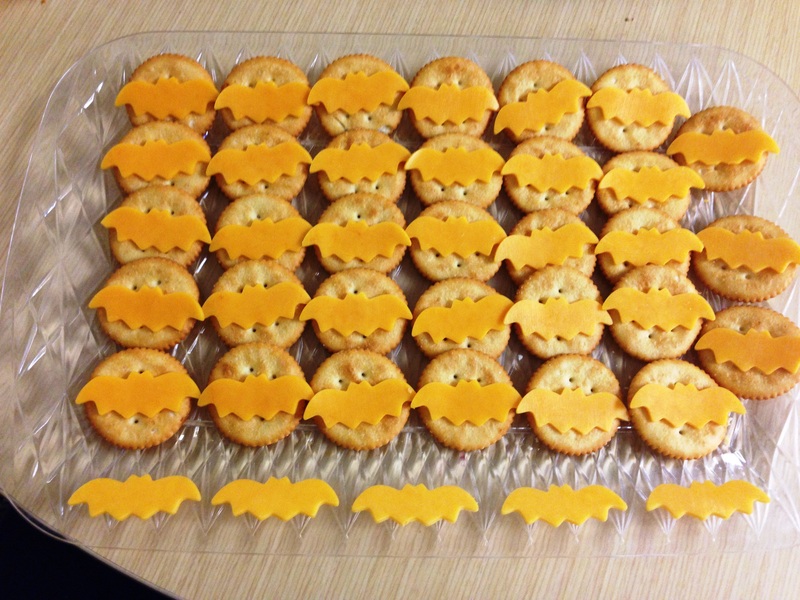 Batman Cheese & Crackers- Leah found a bat cookie cutter on Amazon which we used to cut our cheese for the crackers. A simple snack that the whole group really liked! BaNilla Sandwiches- We used a small dab of vanilla frosting on each vanilla wafer to “glue” the banana slice to the wafers. Roll sides of sandwich in sprinkles. 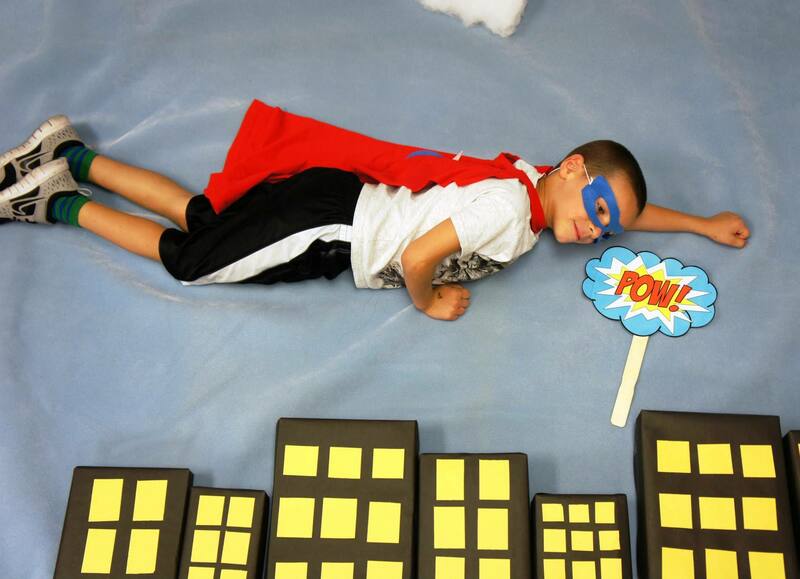 Another tasty treat that all the superhero’s enjoyed! Those flying pictures are GENIUS! Thanks for sharing! Thanks for all of the great ideas – these will be perfect for next summer’s Summer Reading Theme! Fantastic. One question/need……any advice on taking best pictures on the floor. I would like our preschool to give these as gifts to Families on last day of school. Not sure if we need ladder to take best picture. We just stood on a chair to take pictures from above, but a step stool or ladder would work as well. 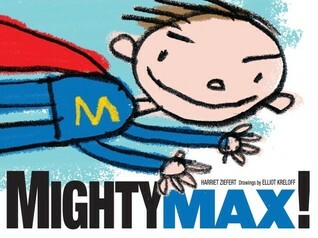 Thank you for the great ideas on super hero books, family night and the download for the super hero cards.